One great thing about farmers markets is that you can get your week’s groceries generally with minimal packaging. 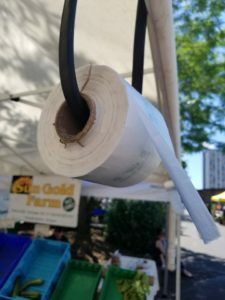 However, there are still some packaging items that are common at the farmers market, and many shoppers are unsure about how/whether these items are recyclable. So, here’s some helpful information. And remember, reducing and reusing are always preferable to recycling! Reduce: A great way to use fewer of these boxes is to bring your own containers (Tupperware for instance) to the farmers market. You can dump the berry pints into your containers at the farmer’s booth, which will allow the farmer to reuse the clean pint containers. Reuse: Farmers are not able to accept these pint boxes back and reuse them. However, they can be handy for reusing if you have a home garden, for harvesting berries, cherry tomatoes, snap peas, etc. Recycle: When clean (no berry juice or goo), these boxes are accepted in the curbside blue recycling bin. Otherwise, they must go in the trash bin. They aren’t accepted in the curbside green compost bin, but if you have a home compost pile, you can throw them in and they will usually break down. Reduce/Reuse: Some vendors will accept their boxes back and reuse if they are clean. You can also reuse them yourself by bringing last week’s empty flat to the farmers market and filling it with this week’s berries. Some people use the same 1 or 2 boxes all season long! Recycle: If clean and unwaxed, they can be broken down and placed in the blue recycling bin. Waxed cardboard can’t be recycled, so should be reused whenever possible. 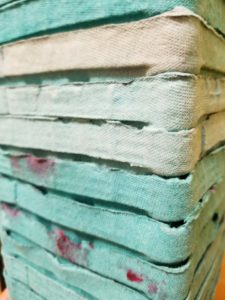 Reduce/reuse: Different farmers have different policies about whether they will reuse egg cartons. 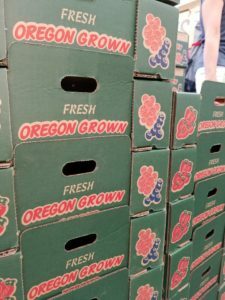 Some farmers will only accept their own labeled egg cartons back, some will accept others’ egg cartons and put their label on top, and some will not reuse cartons at all. Check with your farmer to see what their practice is! Recycle: Clean paper egg cartons can be placed in the blue recycling bin. Reduce/reuse: Nursery vendors will accept nursery pots back and reuse them. Generally, it’s preferred that you return the pots to the same vendor that you bought them from, to make it easier for them to reuse. Recycle: Plastic nursery pots more than 4 inches in diameter and made of rigid (rather than crinkly) plastic can be placed in the blue recycling bin. Smaller and softer plastic pots go in the trash bin. 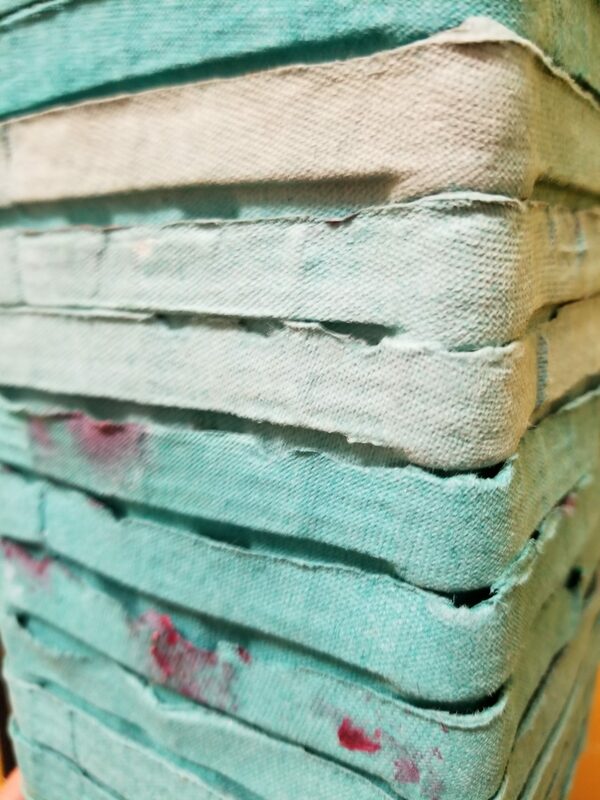 Reduce: There are many reusable/washable produce bags available, usually made from mesh or muslin, which can be used instead of plastic produce bags. Also, not all items need to be bagged separately. 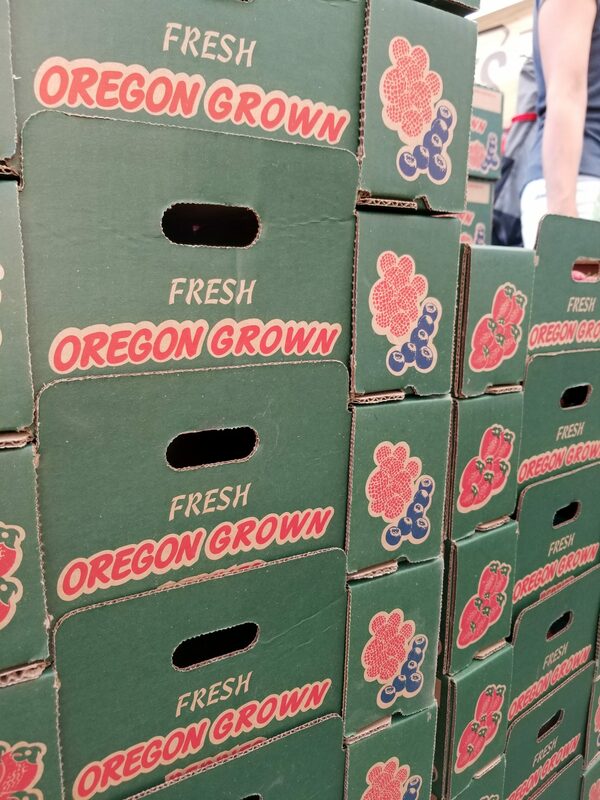 Try to combine items into one produce bag, like different types of bundled greens, or just throw hardier produce (like onions or potatoes) into the bottom of your shopping bag after checking out. Reuse: Plastic bags are reusable too! Just rinse them out (if necessary) and air dry them on a drying rack or over the top of a jar or bottle. Recycle: Plastic bags are not accepted in the blue curbside recycling bin. Some Portland Metro area retailers accept plastic bags. Check with your local grocery store or online.